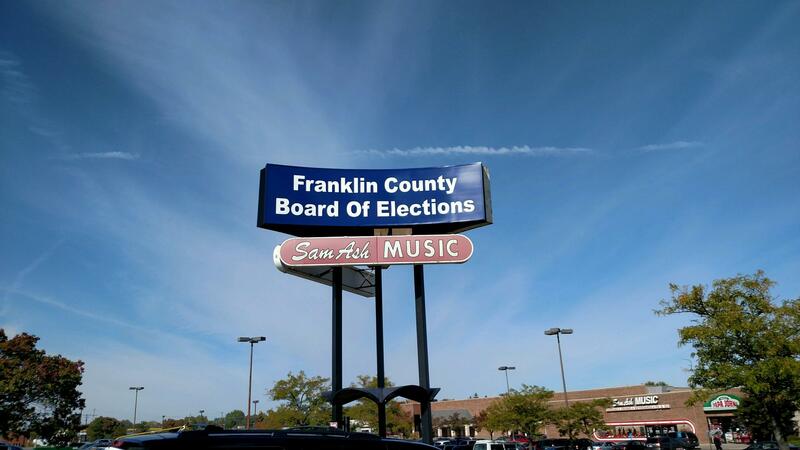 Early voting started on October 12th in Ohio. 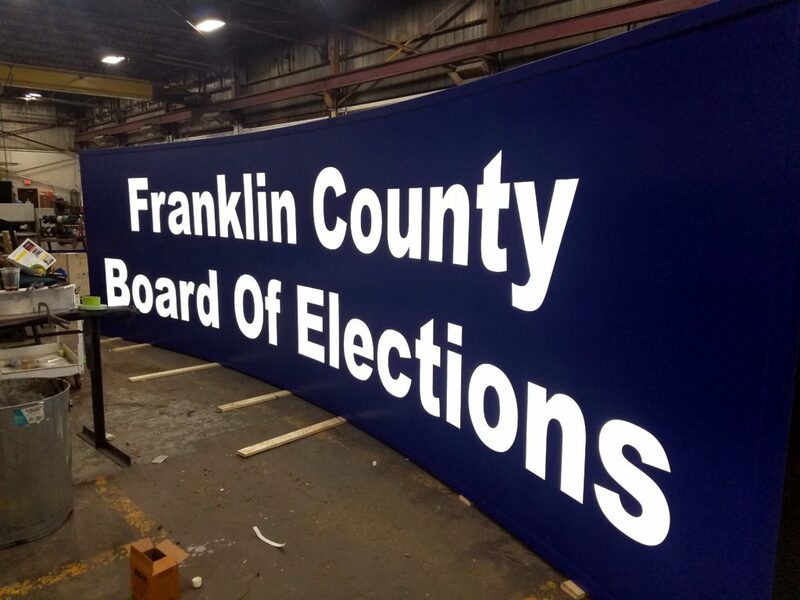 But before the casting and counting of ballots could begin, the Franklin County Board of Elections had one heck of a hurdle to cross in updating an existing, rusting pylon sign to something worthy of hailing the droves of citizens who would cast their 2016 General Election votes. DāNite Sign was up to the challenge. They took a nasty, deplorable sign and made it great again! All joking aside, this was truly a sizable undertaking. 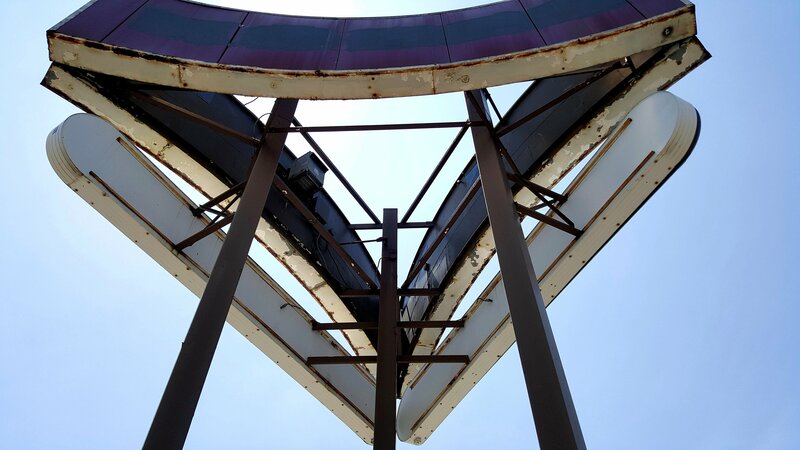 The nearly 34′ tall sign at 1700 Morse Rd in Columbus had been in disrepair for years. 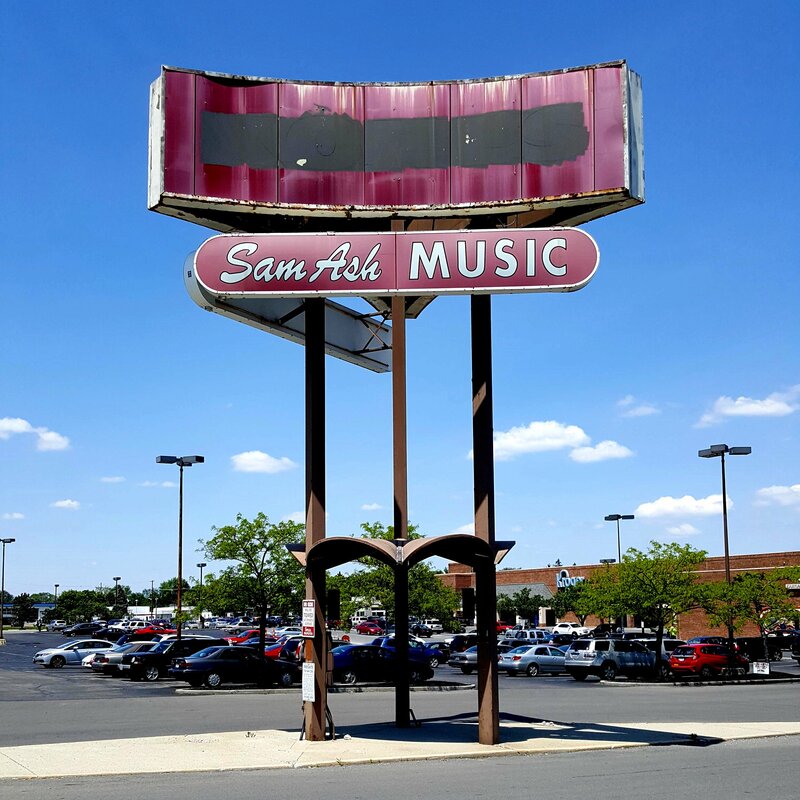 There were three signs in one, really, and each one was 6′ 6″ tall and 25′ long with concave cabinets! 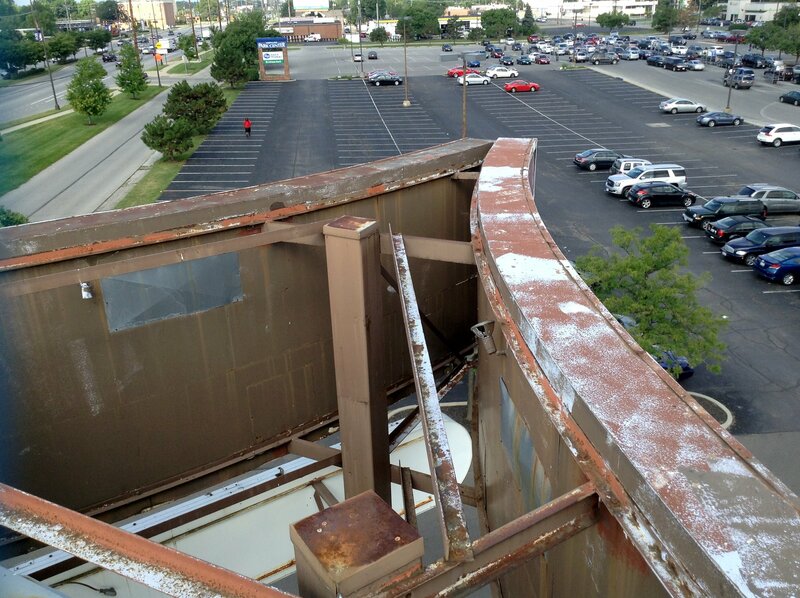 Sometimes it’s hard to grasp the size of something until you get on top of it. And sometimes you don’t get a real grasp on the enormity of something until you bring it indoors. 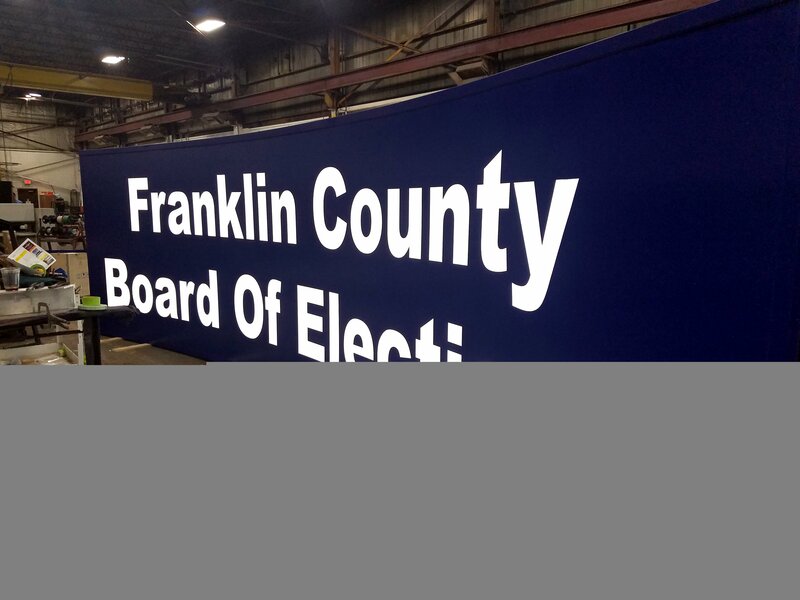 These signs dominated DāNite’s 33,000 square foot administrative & manufacturing facility! 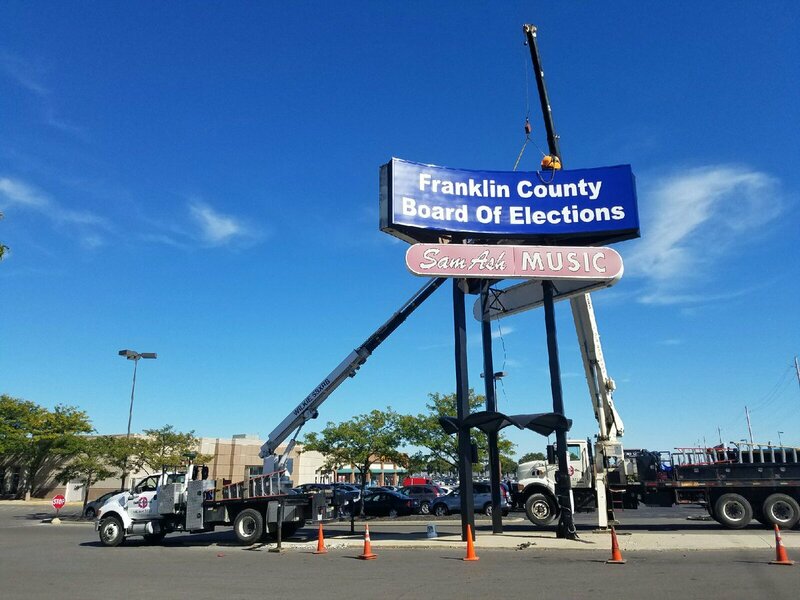 On Monday, Oct. 10, one day before a dozen eager first-time voters pitched their tents in the parking lot to be the first in line to exercise their civic duties & rights, DāNite Sign Company arrived to install the massive signs on the tri-pole structure. 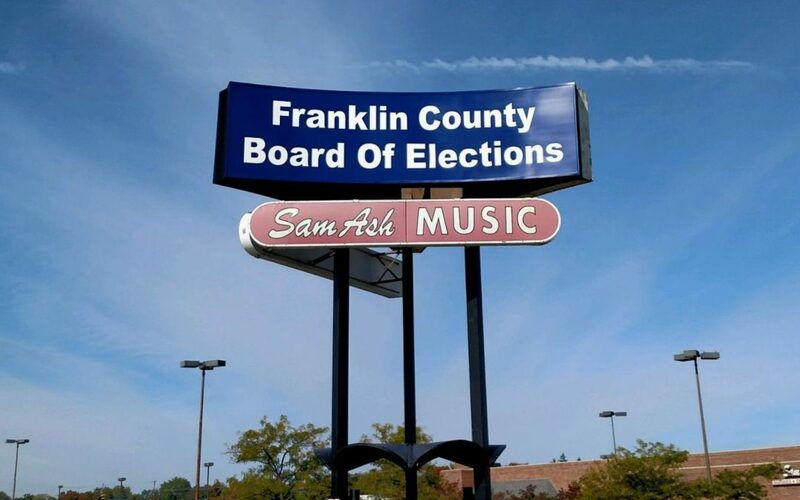 As planned, it was completed before early voting commenced.